Some links should get a class for styling them as a nice button. Is it possible to enhance the WP text widget link section by adding a simple checkbox "Link is a super-special button"? 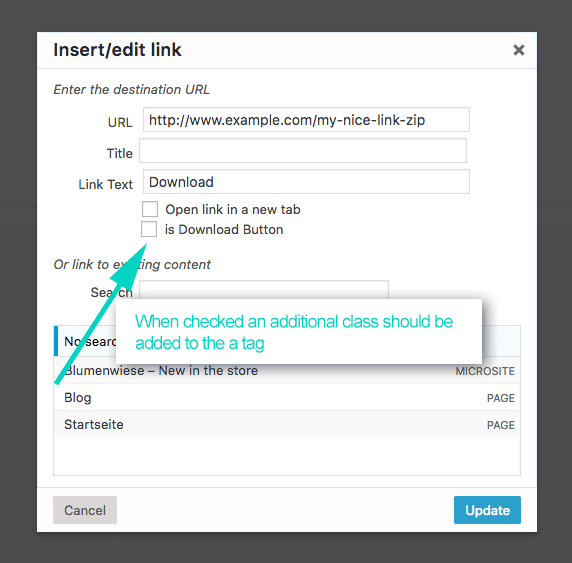 And when checked the button a class is added to the a tag? 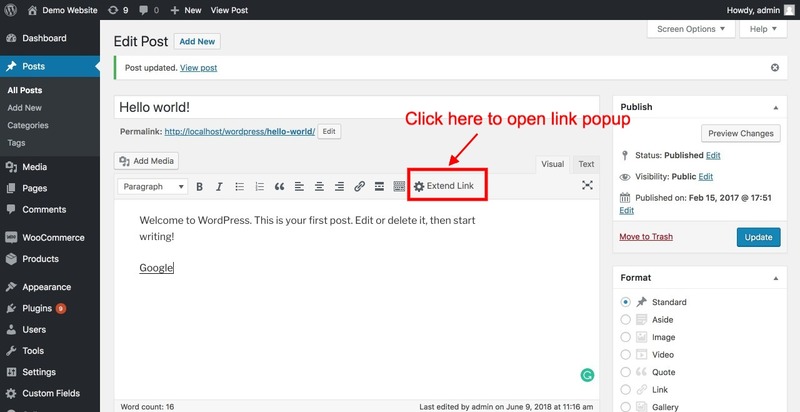 You can use third party free WordPress plugin "Extend Link". You can activate this plugin and add extend link as shown in below screenshot. 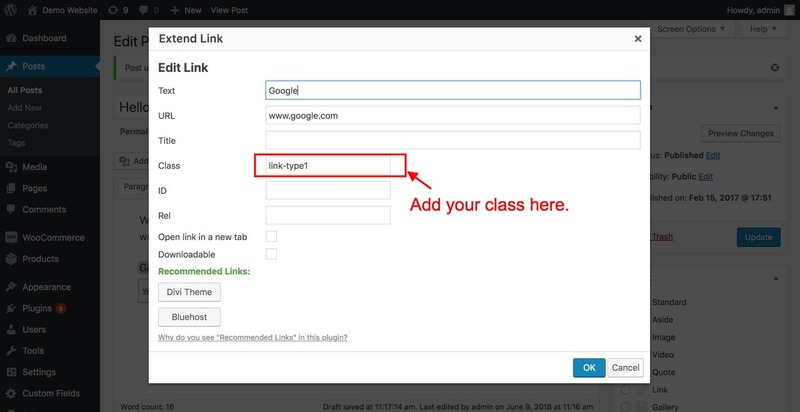 Now when you click on "Extend Link", you will see the popup similar to default link popup but with an additional option to add IDs, Class and Rel. Please let me know if this helps..!! How to add custom text editor in add post section? How to display products in sidebar in 2 columns?